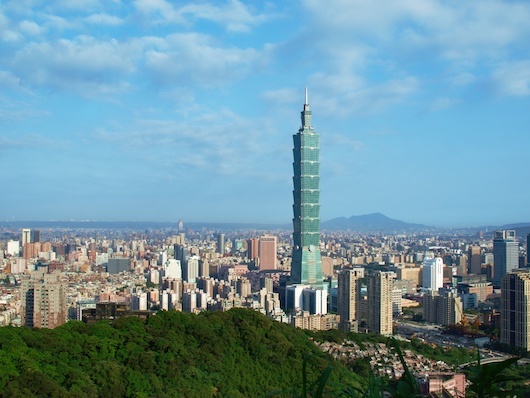 Seat of the Taipei government, the busy Xinyi District contains some of the city’s major sights, such as the Taipei 101 building, Convention Center, World Trade Center, and the National Sun Yat-sen Memorial. If staying in this area, one can do a ‘runseeing’ tour of about 4 km, using good sidewalks and pedestrian paths. Best to go early (or at night)! Do this in any order you like, but the major ‘path’ sections include the Sun Yat-sen Memorial, the Discovery Center, the Xiangti Avenue Plaza, and the Taipei 101. For a longer or standalone run, cross Xinyi Rd. 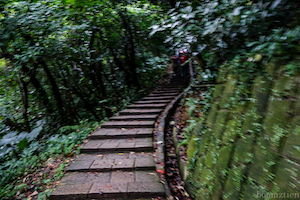 and run through Xiangshan Park to the Xiangshan (Elephant Mountain) hiking trail, which has steps and steep paths leading to a summit. This is more of a hike than a run due to the steepness (240 meters in 2 km). There are a lot of stairs here. Options for numerous other paths in this area, but most are steep and there are a lot of stairs.